Venue before doors opened at Hillary Clinton rally in Miami, Tuesday. By now, their stump speeches are refined: They’ve got the jokes down, the stats memorized, and the crowds hyped. But as Marco Rubio, Hillary Clinton and Donald Trump rounded out their Super Tuesday in Florida—which did not hold its primary that day—it was clear that Florida was a powerful state, not just in the general election, but also in the primary to be held on March 15. 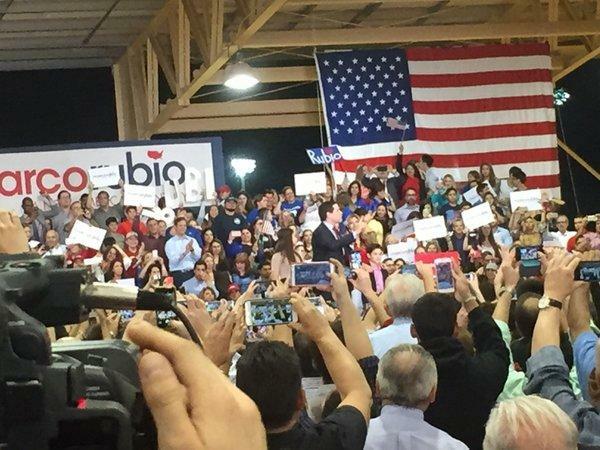 Marco Rubio rally at Tropical Park in Miami. 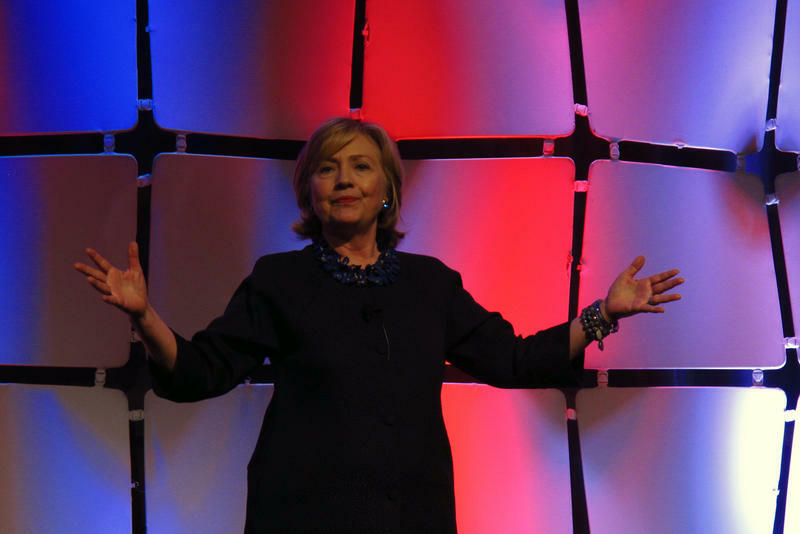 "The middle class needs a raise," said Clinton, "and more good jobs. Jobs that pay enough for a family to live on." It was a sentiment Donald Trump riffed on, saying, "We're going to lower taxes substantially for the middle class. The middle class has been forgotten in our country." And Rubio spoke to his, and so many South Floridians,' immigrant experience: "Here in this community, we have all been shaped and raised by people who know how special America is because they know what life is like outside America." Click here to listen to how a person becomes a delegate and why anyone would want to be one. Scroll through the collage below to give you a bit of the flavor of the different rallies held Tuesday night. 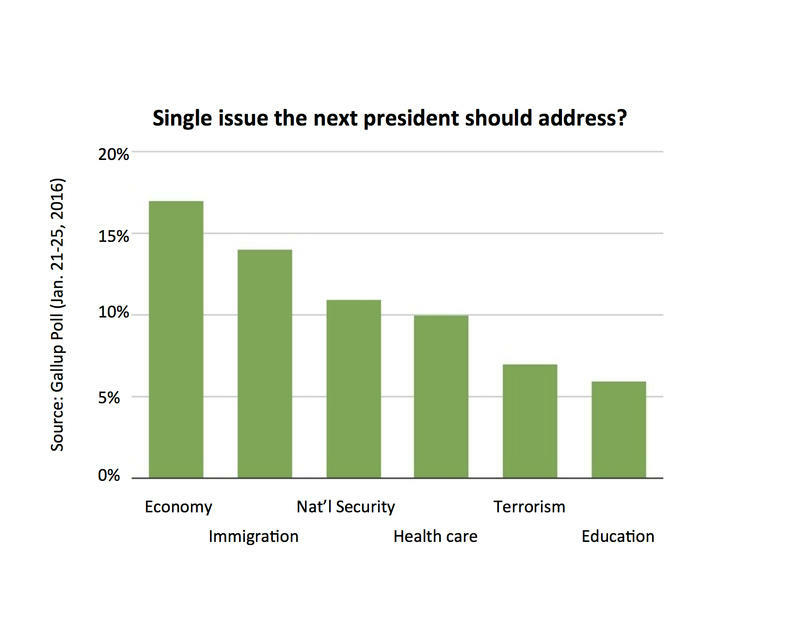 Consistently, voters say the economy is one of the top issues in the race for the White House. It ranks higher than any social issue, gun rights or immigration. If Florida voters are anything like voters elsewhere, it’s the economy that is the big issue as early voting in the state's presidential preference primary begins. Less than half of eligible Latino voters nationally will vote in the 2016 presidential elections, according to an analysis released this week by a nonpartisan Latino group. 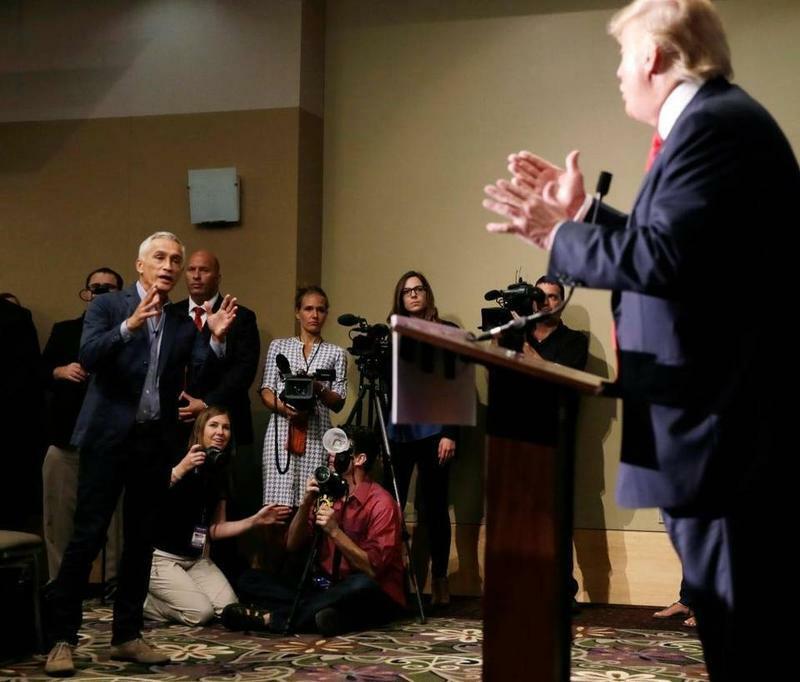 The analysis, conducted by the National Association of Latino Elected and Appointed Officials, predicts a 17 percent increase in the number of Latinos who will vote in 2016, compared with 2012. Buoyed by support from women and older voters, former Secretary of State Hillary Clinton holds a comfortable lead over Vermont Sen. Bernie Sanders in the Democratic presidential primary in Florida, a new poll shows. The Quinnipiac University poll, released Friday morning, found that Clinton leads Sanders by a margin of 59 percent to 33 percent among likely Florida Democratic voters. The new numbers come less than three weeks before Florida's March 15 presidential primaries.